- Where would we be if we did not believe we would experience God’s favour? - Without this knowledge we would be utterly hopeless. - But we can expect His goodness, His mercy and His grace in our lives. 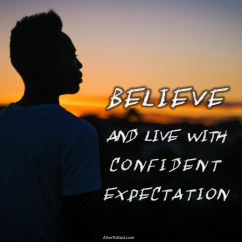 - So don’t despair, rather believe and live with confident expectation. Prayer: Lord, thank You for the wonderful things that you have planned and prepared for me. I will believe in Your goodness towards me no matter what I may be facing. Amen. 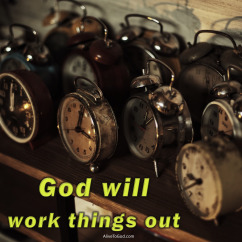 - We can live with the assurance that God will work things out. - All things are in His hands and nothing can remove them from His hands. - He takes our challenges and trials and works them into something wonderful. - Our responsibility is to simply love the Lord and serve His purposes. Prayer: Lord, what a joy it is to know that You will work things out in my life. Nothing I go through is every wasted, because You can use it and transform it into good in my life. Amen. 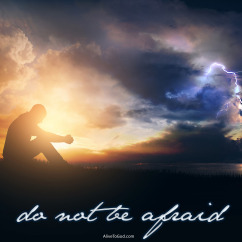 - Fear does not come from the Lord. - Fear is something the enemy uses to ruin and control our lives. - The Lord gives us power, love and a sound mind. - Don’t settle for anything less than God’s best for you. Prayer: Lord, thank You that I can live my life enabled by Your power, guided by Your love and operating in the sound mind that You have promised me. I resist all fear and anxiety and I choose to live in dependence on You. Amen. 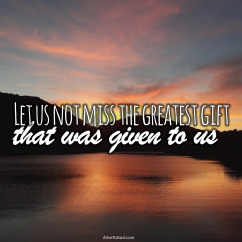 - The Lord wants us to enjoy a gift – peace of mind and heart. - It is a gift that He freely gives and a gift we can freely receive. - The world’s peace is empty, but His peace passes all understanding. - His peace is our sure foundation and therefore we do not need to fear. 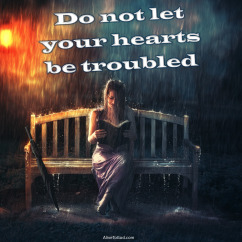 - Living with troubled hearts can be a debilitating thing. - It robs us of the joy of life and our confidence in God. - Our Saviour tells us not to allow this condition to develop in our lives. - We can trust the Lord with every care, worry and concern. - In everything that life may bring across our paths, the Lord is ready to help us. - There is no situation or circumstance that is beyond His help. 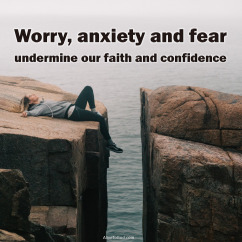 - Worry, anxiety and fear undermine our faith and confidence. - Keep on bringing your requests to the Lord and see what He will do. - We must stay alert, be on our guard and keep watching. - The enemy seeks to devour and destroy. 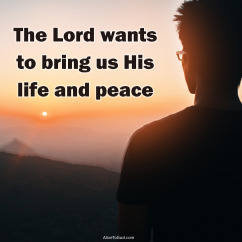 - The Lord wants to bring us His life and peace. - So stand firm, be courageous, stay strong and He will be your life and peace. Prayer: Lord, I choose to stand firm in my faith in You. I will be courageous and strong as I believe and hold onto the hope I have in You. Amen. - When our hearts are overwhelmed, we have someone to turn to. - When we feel deserted and alone, we have someone we can call on. 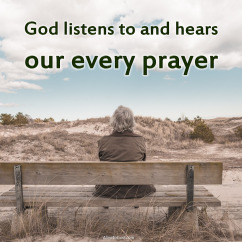 - We have a God who listens to and hears our every prayer. - HE will bring us through the storm and place our feet on solid ground. Prayer: Lord, I call to You today. You are my hope and my salvation. Lead me through my situation and place my feet upon the rock. Amen. 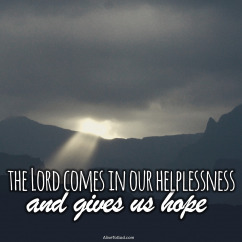 - The Lord is your ‘secure place’, your stronghold and your deliverer. - He is your rock in whom you can trust. 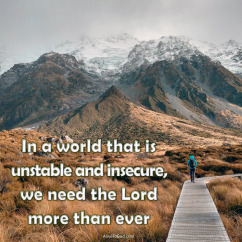 - In a world that is unstable and insecure, we need Him more than ever. - Take refuge in Him and place your trust and confidence in Him! Prayer: Lord, You truly are my ‘safe place’. What a joy it is to run into Your arms, knowing that it is there that I can be secure and safe. Amen.